There are many different forms of competition out there, some of which take on a more public nature because the results will impact who is leading a particular country or representing the voice of many others in government or another forum. Often in these cases, the aim is merely to win, and if victory is not achieved, all the effort that went into it results merely in starting over for the next opportunity to campaign or try again. It’s refreshing, therefore, to see a showcase of innovators who want nothing more than the chance to compete to show that what they are working on, regardless of whether it receives a prize, that has the potential to change the world as long as they stick with it. 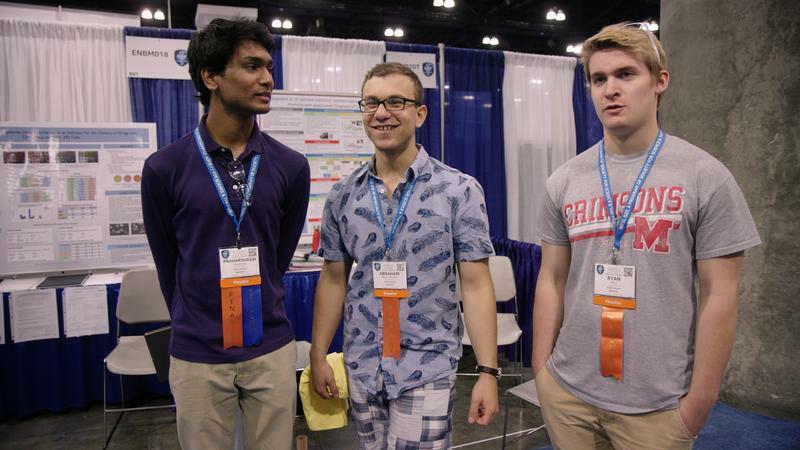 Nine high school students from all over the world compete to win the International Science and Engineering Fair, bringing with them the inventions they have concocted to show judges and impress their peers. What they have created is shaped in many ways by their upbringings and environments, whether it’s something designed to help combat zika or to utilize an algorithm initially designed to predict Kanye West lyrics to far greater effect in computing life-or-death rhythms. Social lives are rarely in the question, and a commitment both to the work and to the spirit of the fair are crucial for them to be able to go the distance. Like other documentaries about high-achieving students before it, “Science Fair” selects a handful of diverse candidates, all of whom hail from different backgrounds with varying motivators compelling them to succeed. It’s both fun and inspiring to watch them talk about how they came up with their chosen endeavors, including one programmer who started out by having his calculator spit out Shakespearean insults whenever a particular key was pressed. Seeing the genuine joy they have in presenting these to others is affirming, and it really is great to know that winning this competition isn’t their only endgame. The opening moments of this film find one freshman bounding to the stage with such delight before being overcome with tears, immediately illustrating the positive impact that valuing young minds and showing them that they can do incredible things has. As young people start to become activists for other types of change in the world, it’s nice to see an engaging platform for those with more standardly intellectual yet highly advanced ideas to develop what they have been inspired to do. This film is engaging and entertaining, delivering both smiles and moments of wonder from the sheer creativity and impressiveness of these minds.